Not all Wood Elves are happy about Valenwood joining the Aldmeri Dominion. Some fear for their beloved forests, while others fear their heritage and traditions will be diluted or replaced. A few groups have retreated to refuges deep in the jungle. The City of Ash I is a group dungeon found in Greenshade. 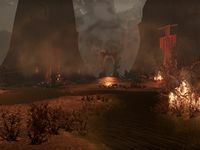 Formerly known as the graht-oak city Whisper Grove, a recently opened Oblivion Gate and hordes of Daedra have turned the Bosmeri city into a dangerous burning ruin. 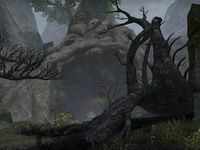 The city's desperate inhabitants have even resorted to breaking the Green Pact, constructing barriers of fallen wood to stem the flow of invading Daedra. You can learn about its location from Mindil the Untested in Marbruk, Abzag the Monster in Shornhelm, or Roaring Ramavel in Stormhaven. City of Ash Objective: The City of Ash is under attack. Pledge: City of Ash I: Prove you are truly Undaunted by clearing the City of Ash I. City of Ash I Vanquisher 10 Defeat the Infernal Guardian, the Warden of the Shrine, and Razor Master Erthas in City of Ash I. City of Ash I Conqueror 15 Defeat the Infernal Guardian, Golor the Banekin Handler, the Warden of the Shrine, the Dark Ember, Rothariel Flameheart, and Razor Master Erthas in Veteran City of Ash I. Fire Brigade 50 Defeat Razor Master Erthas in Veteran City of Ash I, after invoking the Scroll of Glorious Battle. Veteran Deadlands Banekin Slayer 10 Defeat 550 Banekin in Veteran City of Ash I. Veteran Flame Atronach Slayer 10 Defeat 60 Flame Atronach in Veteran City of Ash I. City of Ash I Survivor 50 Defeat the Infernal Guardian, the Warden of the Shrine, and Razor Master Erthas in Veteran City of Ash I, without suffering a group member death. City of Ash I Assassin 50 Defeat the Infernal Guardian, the Warden of the Shrine, and Razor Master Erthas in Veteran City of Ash I within twenty minutes of starting the dungeon. Timer starts when players engage the first group of Daedra. In Patch 1.6.5, all Imps were replaced with Scamps. 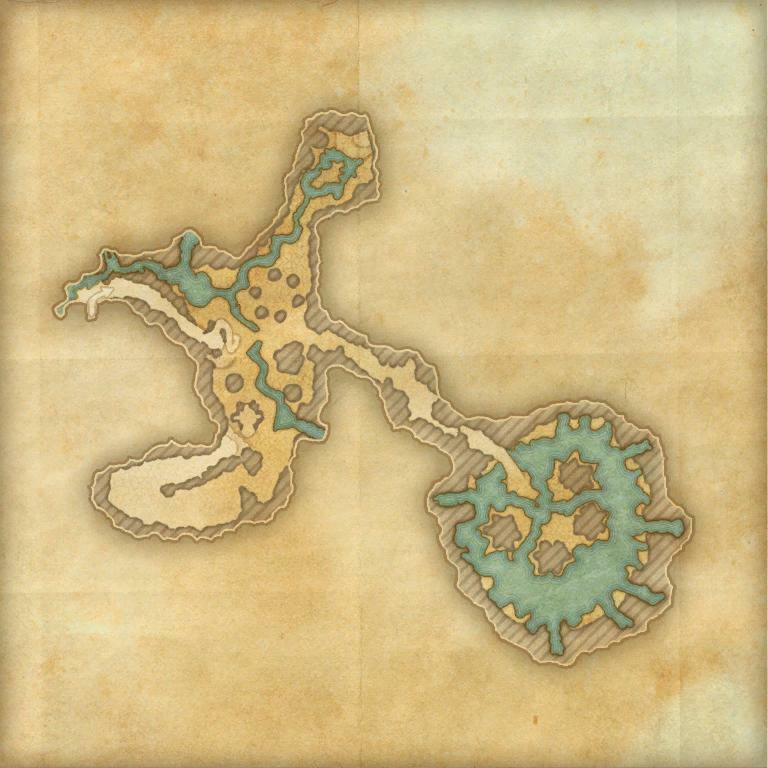 Before dungeon scaling was introduced in Update 5, Normal City of Ash was designed for levels 28–31, and Veteran City of Ash was designed for Veteran Ranks 1-4. Until the Veteran Rank increase in Update 7, Veteran City of Ash did not scale like the other dungeons. Prior to Update 12, City of Ash I was only available in Normal mode, and City of Ash II was only available in Veteran mode. These were named City of Ash and Veteran City of Ash respectively. This page was last modified on 2 March 2019, at 21:07.